Your Portable Traffic Signals are hardy… but they need water to stay alive. 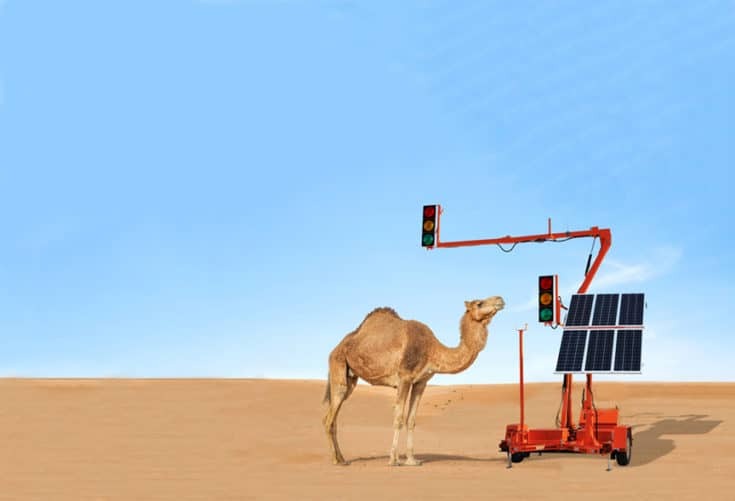 If you lease or own portable traffic signals, it’s important to maintain the solar charging system on each trailer to ensure proper operation. This includes monitoring and maintaining proper water levels in all system batteries and ensuring all solar panels are kept free of dirt, snow and other debris that can prevent proper charging of the batteries – even when they’re being stored between projects.